2018 has been an inconsistent year in many ways, and early on there were some unexpected, yet pleasant surprises which undoubtedly contributed to stop-start activity in the industry, such as the success of the England football team and the scorching summer which beat 1976 to become the hottest on record. Towards the end of 2018, property search activity in the residential market leveled out more consistently. In contrast activity in the holiday side continued with uncertainty around Brexit, contributing to the ever-burgeoning demand for holiday accommodation here in the UK. Years of growth, in particular in Scotland and Wales, shows no signs of slowing during 2019. Even with Brexit negotiations rumbling on and possibly continuing for a while yet. The number of new developments in the pipeline is encouraging. 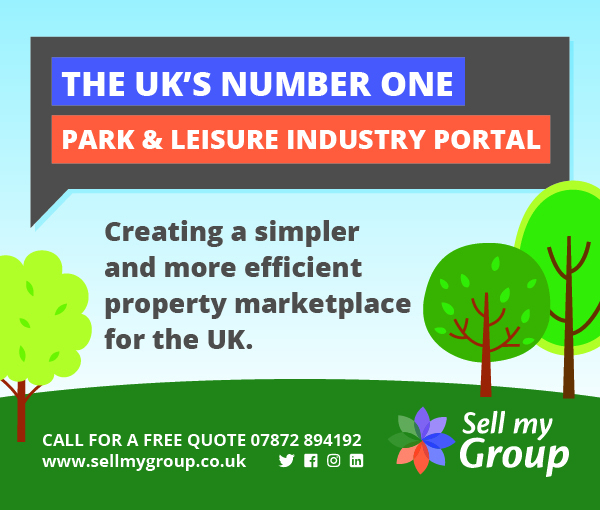 Howver, the fact that buyers have more choice can be a double-edged sword from an industry perspective, making clear USP’s and a structured, supported sales and portal system a priority for parks. The manufacturing side of the industry continues to push forward with confidence to ensure there’s something for every buyer, with an increased emphasis on affordability a consistent theme within their new model launches. Manufacturers such as Prestige, Omar and Tingdene have all introduced lodges with serious kerb appeal while retaining keen affordability. Furthermore, they’ve also made sure there are also larger sized options previously considered the ‘big hitters,’ within a price range more attractive to the rental market, making lodge ownership and in particular the investment lodge concept more appealing than ever. On the residential side the clouds are parting too. It has been obvious to those in the industry for some time that residential park homes are a solution to the UK housing problem. Local authorities are increasingly alert to the potential and now it’s clear that buyers are recognising this, especially those facing retirement. Enquiries are proportionally outstripping those for traditional brick built in parts of the UK. With key reasons for downsizing being a change in needs; either size or accessibility, one-story park homes deliver an easy lifestyle from many perspectives – easy to maintain and low on living costs. With research showing that 3.1 million UK households over 55 are now looking to downsize, those needs being met by the residential park home market will also have a knock-on impact in helping to reduce the shortfall of affordable housing for all ages. That doesn’t mean that residential buyers thinking of retiring to a park home have to compromise. The competitive state of the marketplace continues to drive standards up both in terms of park infrastructure in the homes themselves. The manufacturers have been quick to recognise this. Their attention to detail in delivering those accessible price points is already for 2019 focusing on retaining luxury within the homes, so with extras thrown in to make life easier and add a bit of wow factor, making the transition will be increasingly easier for buyers. Of course, the parks can choose if they pass these potential savings on, so that move has put them firmly in the driving seat giving flexibility to adapt to market forces as their sales year progresses. That can only be positive.